Is the SAT Really Less Stressful With a Timer Strapped To Your Wrist? When taking your ACT or SAT tests the last thing you want is your college dreams dashed because you ran out of time. 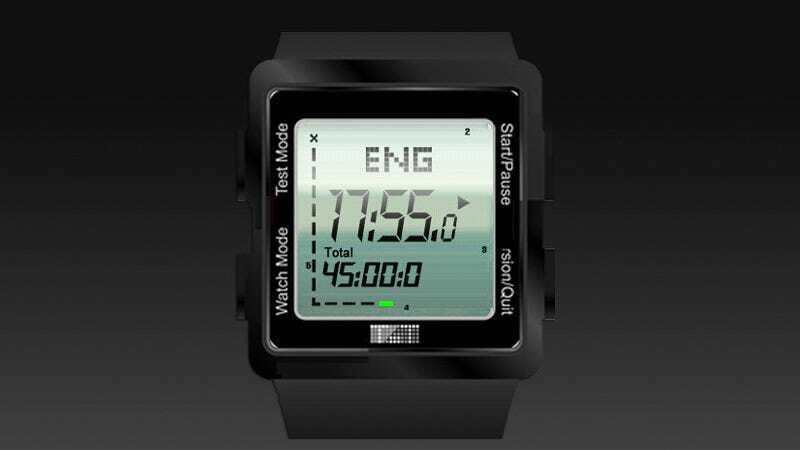 So for $40 this Testing Timer watch has a very specific purpose—keeping you on time and on pace to finish every question in the allotted time frame. Designed as specific versions for both the ACT and SAT tests, the watches feature various indicators and countdown timers that let the testee know how much time they've got for a given section, and the overall exam. A simple set of control buttons let's the user jump around from section to section, and the watch meets with all the criteria so it can actually be worn in the testing room—not just during preparations. Staying on top of the time and your progress is definitely a great idea, but having a constant reminder to hurry up sounds even more stressful than that annoying final Jeopardy jingle.